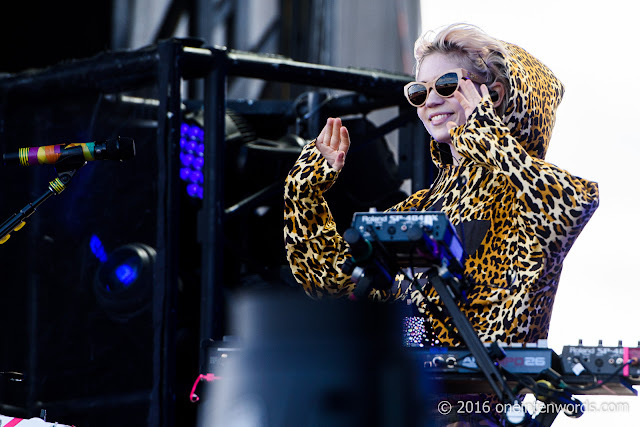 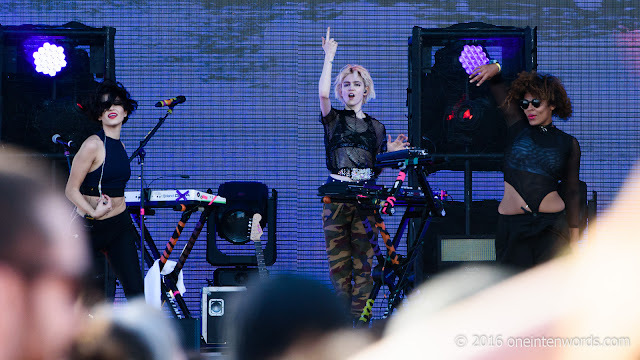 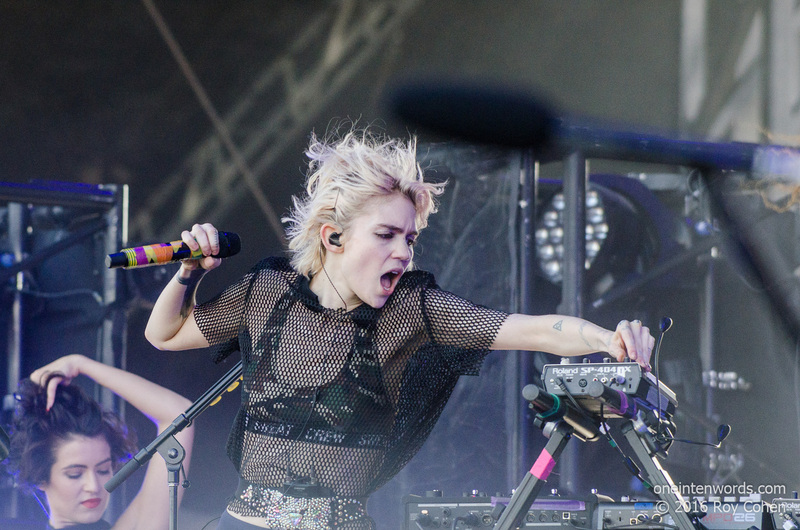 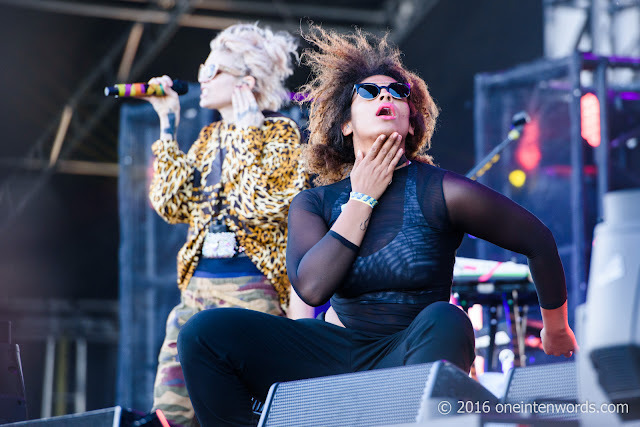 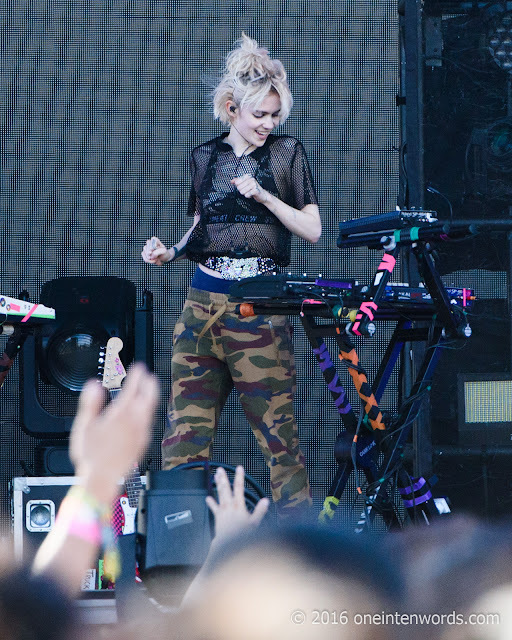 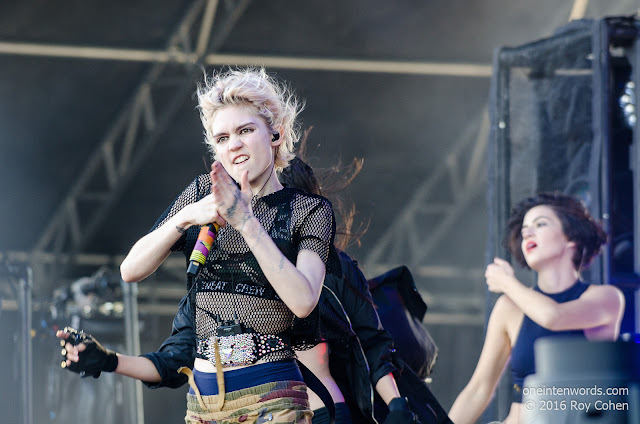 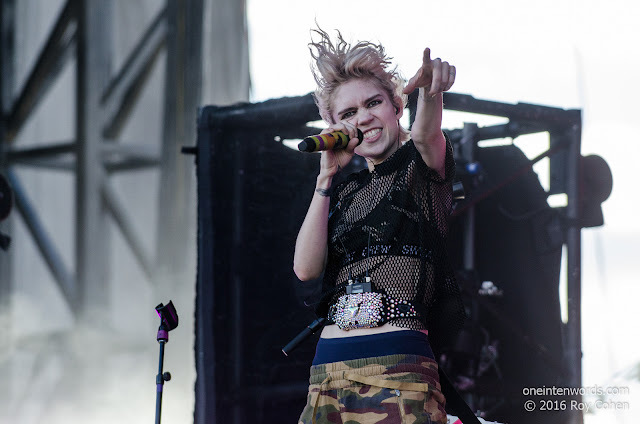 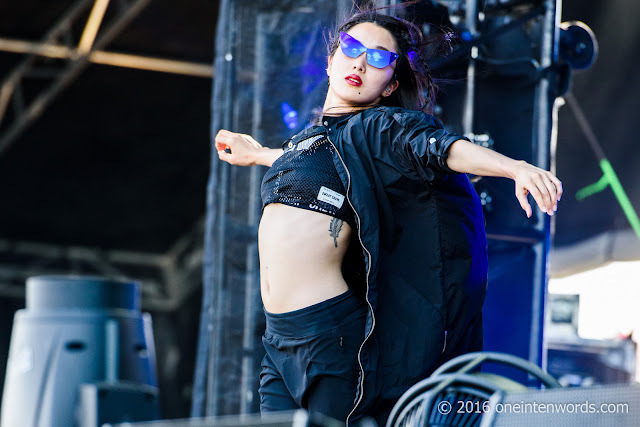 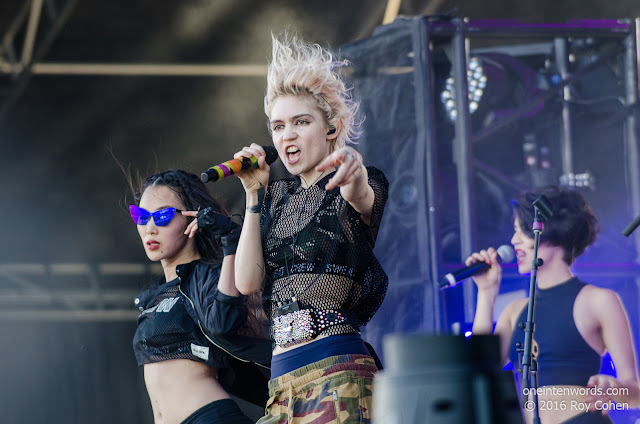 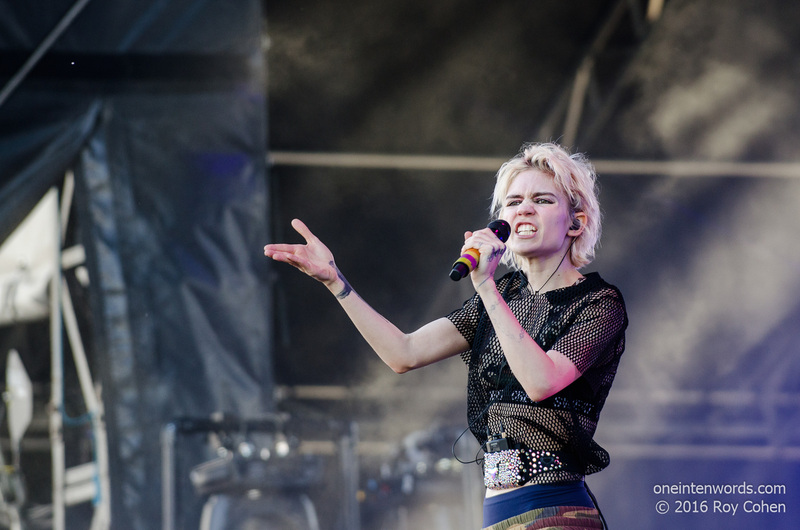 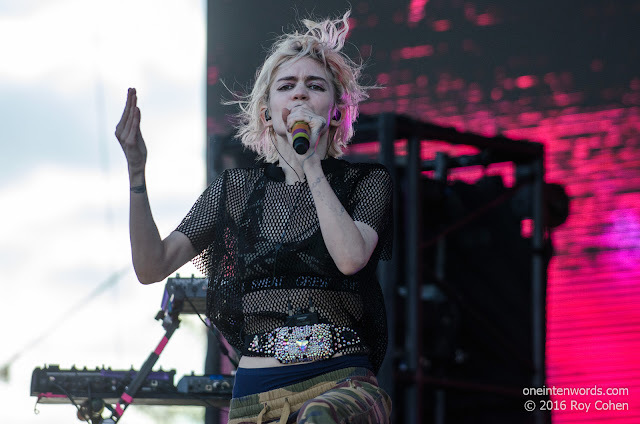 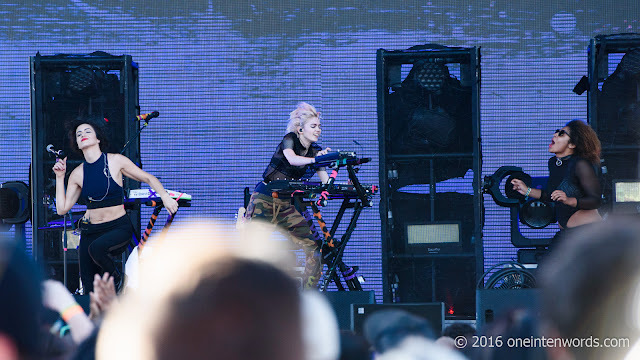 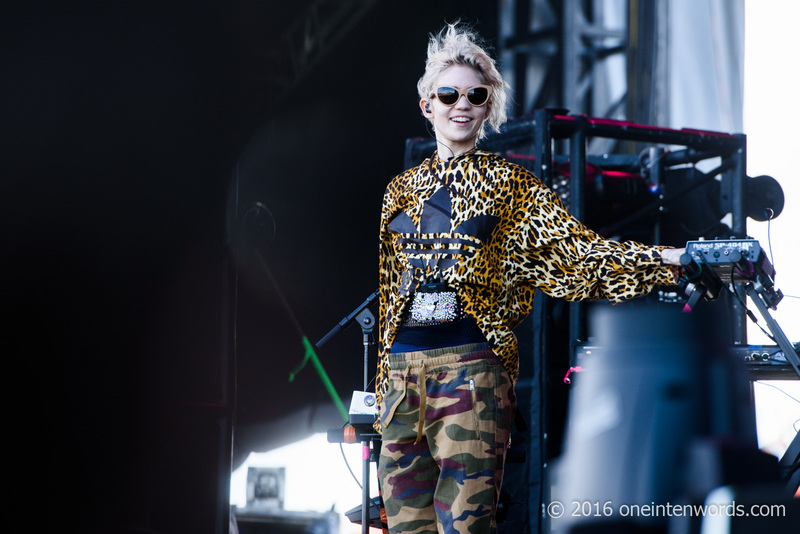 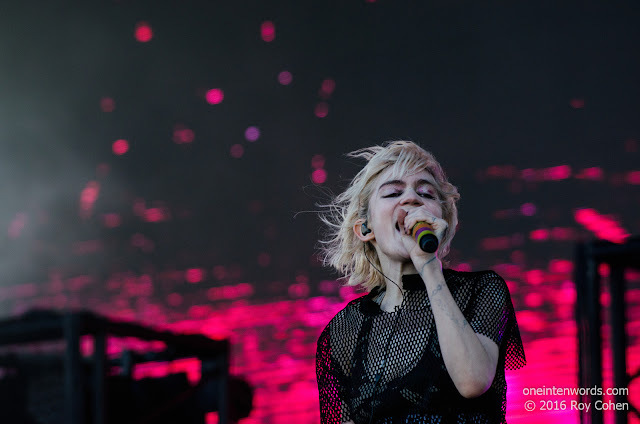 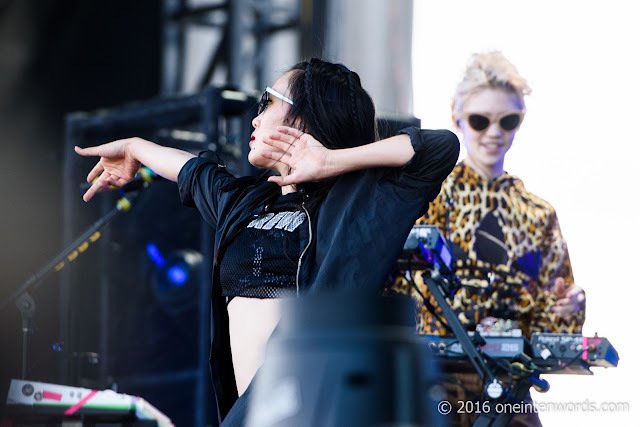 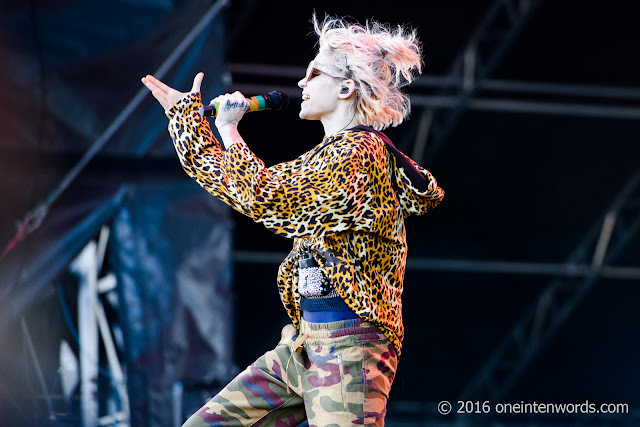 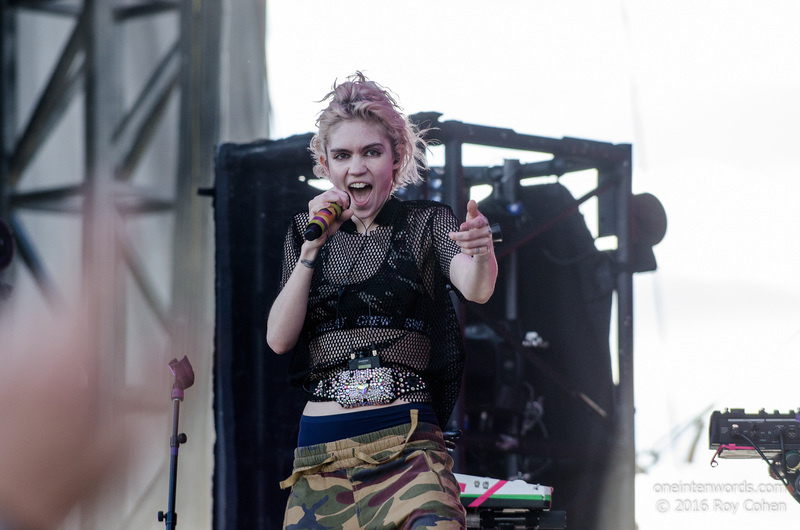 Grimes was the second-to-last act to hit the Bestival Toronto main stage on day 2, Sunday, June 12. 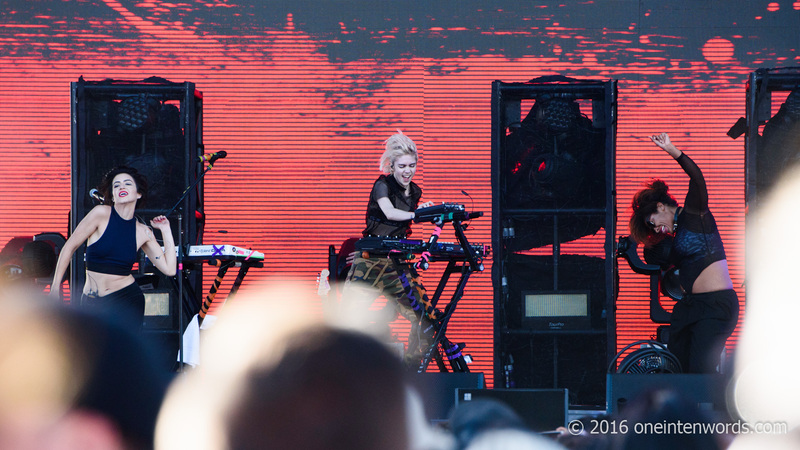 She was certainly an artist that many in attendance, myself included, were very excited to see live. 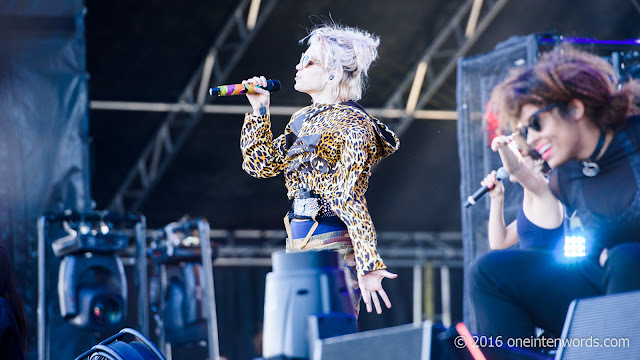 She was suffering from a cold and apologized a number of times for the fact that her vocals were going to be bad. I thought she sounded great and delivered her wonderfully quirky pop tunes well. 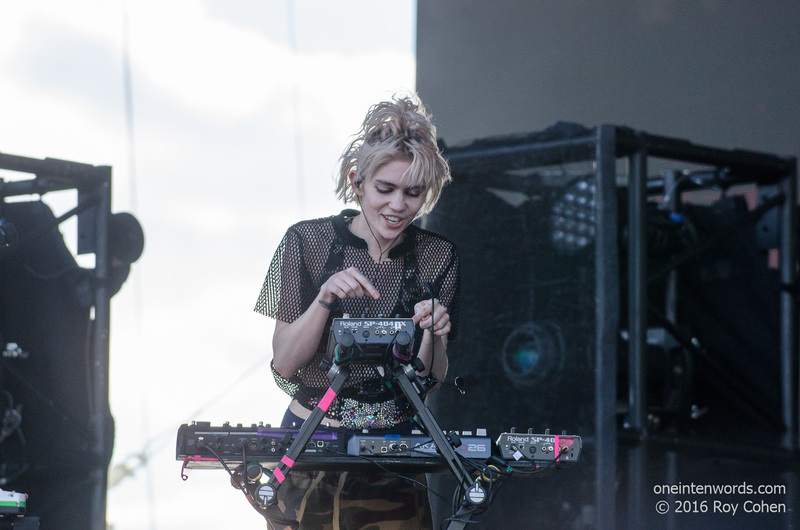 I'd love to catch a full-length, headlining Grimes show. 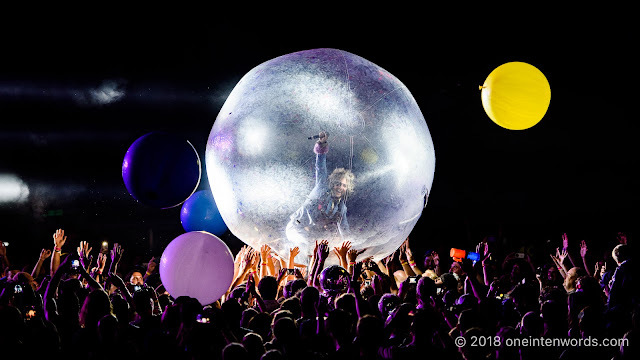 Roy Cohen and I both captured shots of this performance.